Trinity Episcopal School is committed to fostering individual student growth by providing an atmosphere of support and acceptance that allows students to discover and develop their interests and strengths. The fulfillment of this mission is dependent upon the establishment of a community of inclusion in which individual learning differences are valued, celebrated and integrated. academically successful. The ARC helps students identify their own strengths and weaknesses and develop strategies for success, emphasizing advocacy and accountability. ARC provides academic “coaching,” organizational assistance, and small-group tutoring to any student who asks for help. The ARC also collaborates with faculty to develop classroom strategies that reduce barriers to learning, increase accessibility, and support learner variability. The Academic Resource Center supports students with documented processing, memory, and attention deficits and/or specific learning disabilities. We review formal educational evaluations provided by the parents and request new assessments as a student progresses through high school. Up to date evaluations are crucial in providing the best accommodations and plans for students with specific learning needs. We provide formal written plans to all teachers that include student’s strengths, weaknesses, recommendations and accommodations. 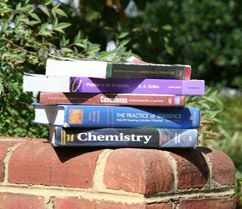 Accommodations are limited to those appropriate for Trinity’s college preparation curriculum. Trinity does not have the authority to generate IEPs or 504 plans. We support and encourage ongoing communication between ARC faculty, teachers, and parents in order to provide the best academic service possible. Q. Is ARC mandatory for students who are struggling? No. Students are encouraged to use their study hall time to visit the ARC if they want support with their schoolwork. Despite parent desires, if a student does not want support from the ARC, requiring him or her to attend is not conducive to a productive environment. Q. What documentation is needed for my child to receive accommodations at Trinity? A Formal Education Plan is created for students with documented learning or attention disorders/disabilities. In order for a student to be eligible for a plan, the Academic Resource Center must have a copy of recent achievement and cognitive testing. These evaluations can be from a private clinician, such as a psychologist, or from a public school, such as the IEP, 504 or Child Study team. Some students have been diagnosed with an impairment, such as ADHD or anxiety, by a medical doctor. In these cases, we must have a comprehensive achievement and cognitive evaluation that illustrates the impact of the disability on academics. A doctor's diagnosis or medication prescription alone is not enough. Q. What is the role of the Academic Resource Center in IB, ACT and College Board Testing? ARC faculty work with students and families to ensure appropriate and necessary accommodations are honored on IB, AP, SAT and ACT tests. With parental consent, ARC faculty contacts these governing bodies on the student’s behalf. Up to date documentation is required when students are applying for accommodations for IB, ACT and College Board testing. Students do not need to be regular ARC attendants to apply for accommodations, but they do need up to date documentation of any learning needs. Q. How does my child access the support in ARC? A parent, teacher or advisor can refer any student to the ARC. Once the referral is made, the ARC faculty will communicate with student, family and teachers and determine what supports are appropriate.